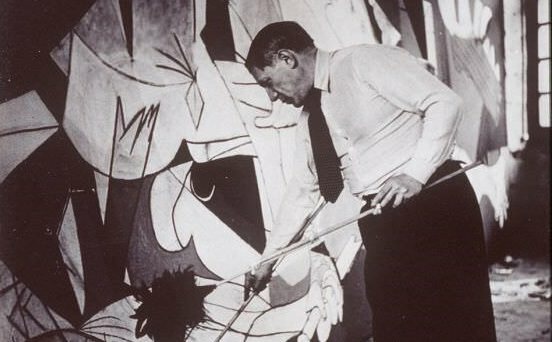 In 1937, Picasso created Guernica, what would go on to be one of the most recognizable politically charged pieces of 20th century art. From this work stemmed Picasso's series of Weeping Women, we reveal the story behind the crying eyes. Horrified by the attack, when Picasso was commissioned by the Spanish Republican government to create a mural for the Paris Exhibition that year, Picasso wanted to put on canvas the atrocities of the attack. Picasso's Guernica shows a scene of massacre and suffering, with women and children portrayed as the majority of the victims. For months afterwards, most likely haunted by both the attack and his artistic reaction to the attack, Picasso made a series based on one of the figures in the mural: a weeping woman holding her dead child. The series of portrayals of women in tears was a lament to those devastated by the bombing. After completing Guernica, Picasso worked obsessively on his portraits crying women. After Pablo Picasso, (1881-1973), Femme au Mouchoir, ('Weeping Woman'), after the 1937 original, a 'Picasso Estate Collection' print published 1979-1982 by authorisation of Marina Picasso, granddaughter of the artist, a coloured lithograph by Laurent Marcel Salinas on Arches paper, artist's proof (numbered in pencil AP26, from an edition of 34 and a subsequent edition of 500), with blindstamp lower left, inscribed in pencil lower right 'Collection Marina Picasso', image size 21" x 17.5", (53cm x 44.5cm), in card mount and glazed black gallery frame. 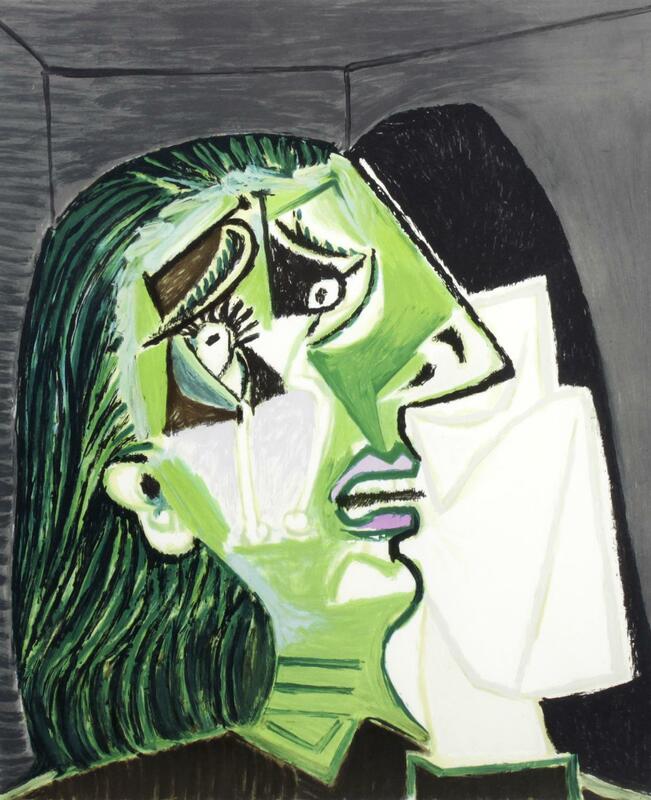 The sharp angles of the face, the anguish in her eyes and desperation in the shape of her mouth, alongside the shock of green colors that make up her complexion: Picasso's Weeping Woman immediately creates an uncomfortable feeling in the viewer. As an abstract portrait, the feeling of sadness and terror is as tangible as any work of realism. After Pablo Picasso Femme au Mouchoir (The Weeping Woman) featured will be included in Fellows Antiques, Silver & Collectables sale on August 7-8, 2017. Viewings will be held on August 3, 4, 5, 7 and 8. Check out more here.